❤Materail: the powder is made of environmental protection material. 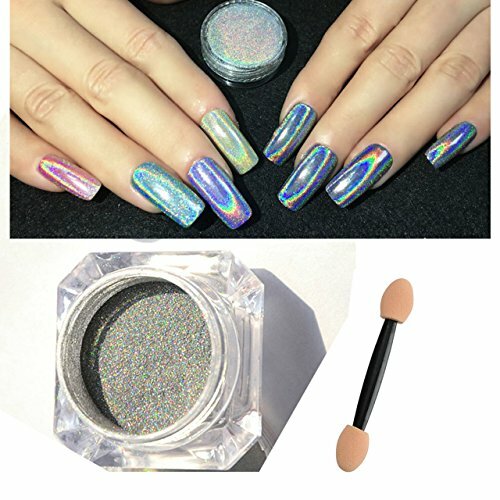 ❤Color Effects:based on different color,there will be different color effect reflections.Sparkling in different angles. ❤Easy to use:can be use with both UV Gel Polish and nail polish. And easy to apply on natural or artificial nails. ❤DIY at Home & Salon:an be used to design your own nail art, nail patterns, highlight, etc.suitable for professional use or home use.